Safety gloves are standard PPE and protect hands from abrasions, cuts, tears and punctures. 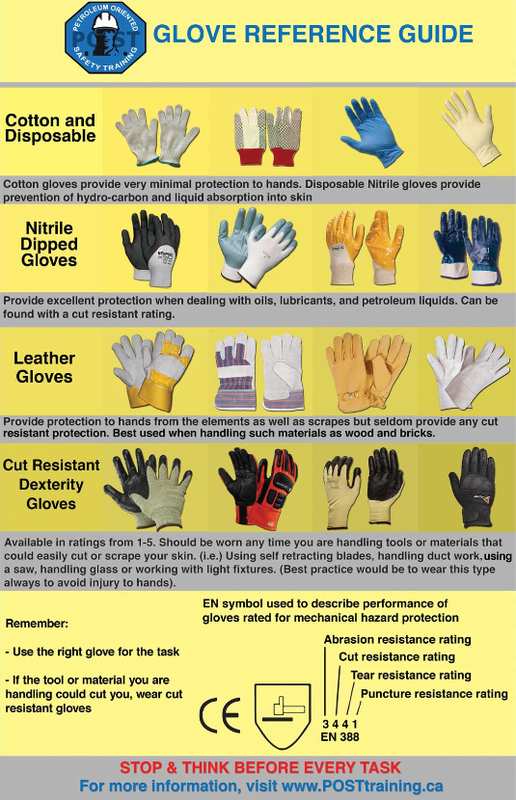 POST has developed a chart to help determine the proper glove for the task. Cut Protection is the combination of influences that tend to prevent a worker from being cut. Cut Resistance is the ability of the material to resist damage when challenged with a moving sharp edged object. For more information on cut protection, abrasions, glove standards, the best gloves to wear and more, download the PDF below!